KWA Blinds supply a wide variety of Commercial curtain track systems from numerous suppliers. 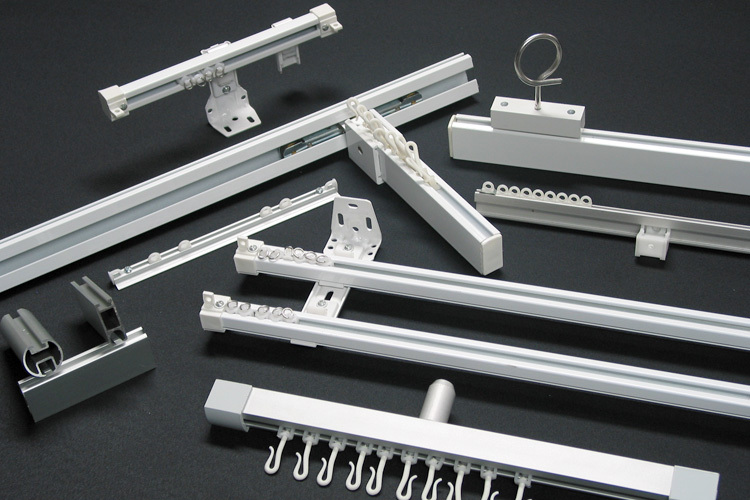 Products include various Hand Drawn, Cord Drawn and Motorised Curtain track systems. We also supply more specialised items such as the "S" fold/wave Curtain Tracks and Velcro Tracks. KWA Blinds have extensive experience as suppliers of Bedscreen Tracks, Shower Tracks, Moveable Bedscreen Tracks, IV Tracks as well as anti-ligature solutions and alternatives for bariatric applications, such as with the recently developed Movagate.